We updated our list for 2019! In celebration of Canada’s 150th birthday we compiled a list of 150 local things to do in Kelowna BC (and surrounding area). This list made us realize there is actually SO much to get out and in this city, with great local businesses to check out. Pick up local veggies, fruits and other treats (or just stop by for lunch) at the Kelowna Farmer’s Market every Wednesday and Saturday (8AM – 1PM). Get a macchiato at one of the five Bean Scene locations. Ask for Bar Norcino at The Curious Cafe. Take a long bike ride along the Mission Greenway. Pick up some Okanagan Lifestyle swag at Man + Woman. Stock up on renovation materials at the award-winning Restore West Kelowna. Convert to vegetarian at Naked Cafe. Try a yoga class at Ekahi Centre. 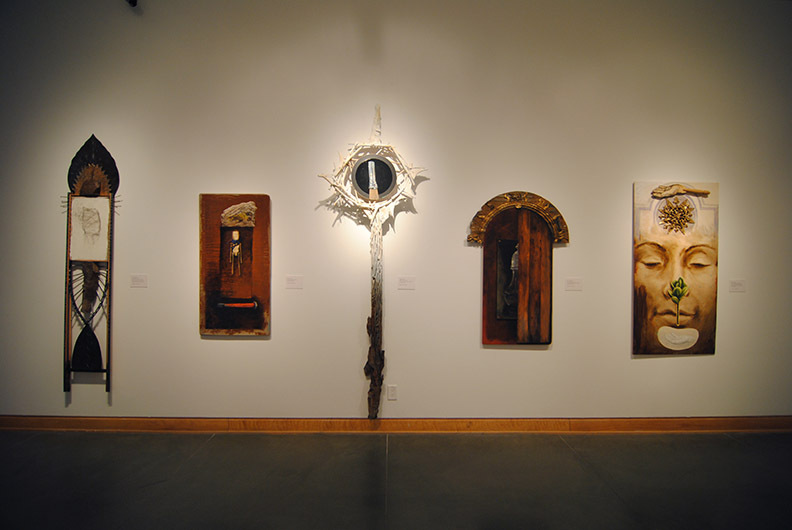 Explore new concepts in art at the Kelowna Art Gallery. Be one of the first of the season to downhill bike at Big White Ski Resort. Rollerblade the boardwalk through City Park. Put your fear of heights to the test at ZipZone in Peachland. Experience a local favourite – laksa soup – at Mad Mango Cafe. Groom up with a manicure and pedicure at Devotion Spa on Pandosy. The best wine and food in the Valley come together at The Spring Okanagan Wine Festival (May 3-4 2019). Guys and girls – get a trim at Plan B downtown. Show off your vocal talents with a night of karaoke at HQ49. Shop for new vinyl at Milkcrate Records. Find some thrifting gems at Georgie Girl Boutique. 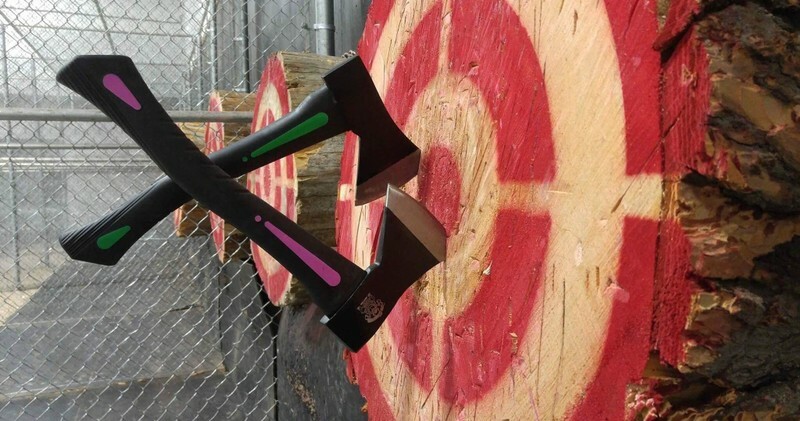 Get the aggression out with indoor axe throwing at Axe Monkeys. 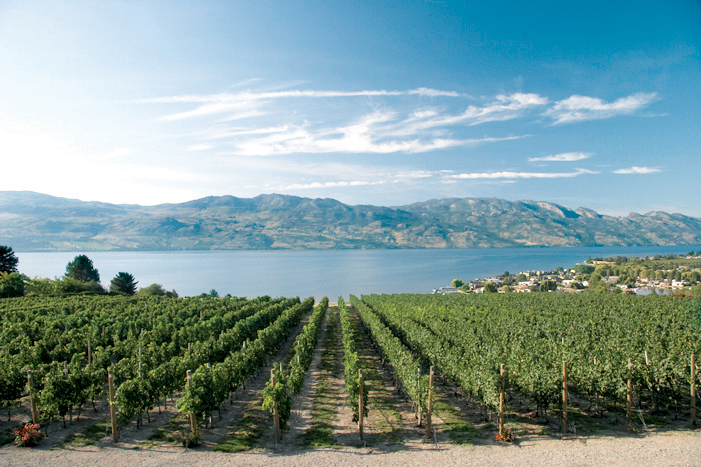 Go for a drive up the Naramata Bench and visit the roadside wineries along the way. Hike to Paul’s Tomb for a swim in its secluded swimming hole. 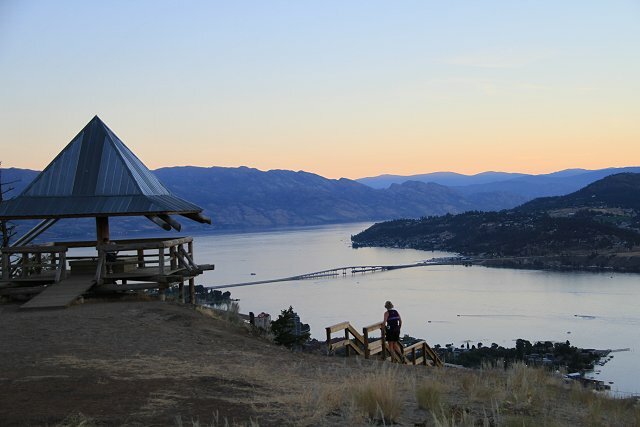 Get a fantastic view of the Okanagan Lake from the top of Mission Hill (and sample wines while you’re there, of course). Putt away the afternoon at 19 Greens Premier Putting Course. Track down the Crasian Food Truck for some Crazy Asian street food. 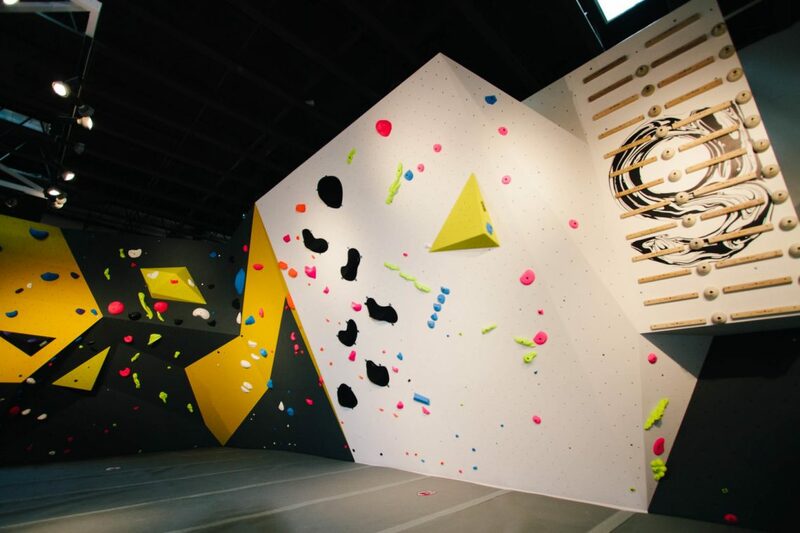 Climb your way to the top at Gneiss Climbing Gym. Fill your basket with a variety of fresh Okanagan apples and other fruits, veggies and local treats from the BC Tree Fruits Market. Treat yourself to an Okanagan signature – the red or white wine vinotherapy massage from Beyond Wrapture Day Spa and Retreat. Take the pup to one of Kelowna’s massive dog parks – including on Knox Mountain Park and in North Glenmore. Rent a Jetski at MachBoats for an exciting day on the lake. Unleash the children for some indoor playground fun at Energyplex. Challenge your gang of friends or family to a round of paintball at Safari Ridge Adventure Park. 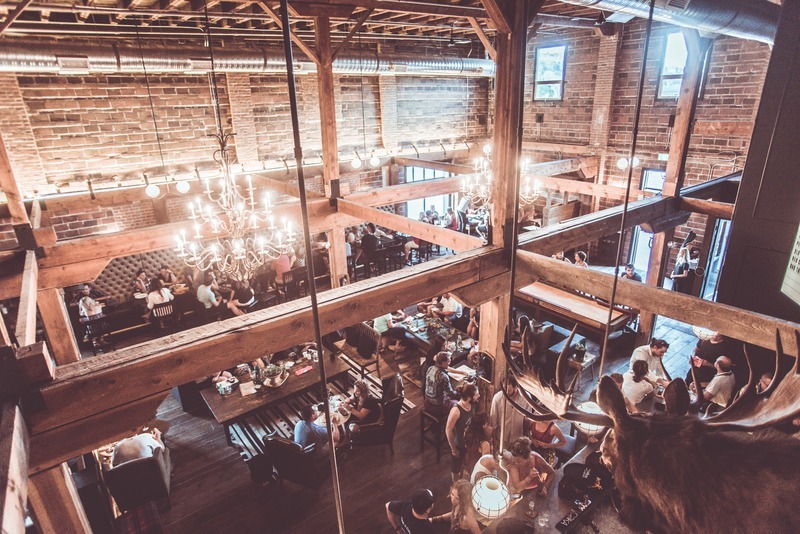 Tour one of Kelowna’s most revered heritage buildings – the Laurel Packinghouse – where the Okanagan Wine & Orchard Museum awaits. Peer into some of Kelowna’s rich and varied history with a tour of the historic Father Pandosy Mission on Benvoulin Rd. Try something totally out of the ordinary with a decadent escape to Sparkling Hill Kurspa in Vernon. 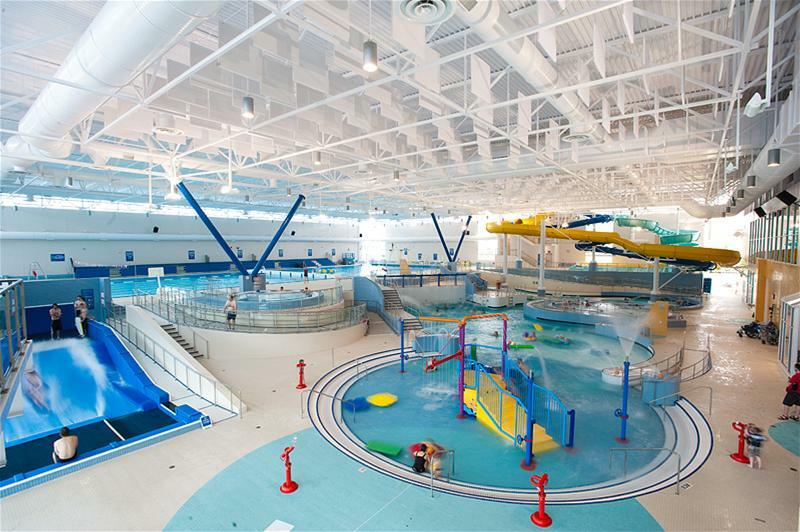 Ride the waves at the H2O Adventure + Fitness Centre – the largest municipal water park in Canada! Get closer to the land down under at the Kangaroo Creek Farm, where you can visit kangaroos, wallabies and much more. Explore beautiful trails on a guided horseback ride through the Kettle Valley Railway Trail with Kelowna Stables @ Myra Canyon Ranch. Sip on local craft beer after honing your 10 pin game at McCurdy Bowling, with the adjoining Freddy’s Brew Pub. See the Okanagan countryside from the back of an ATV with Okanagan ATV Tours. Glide above the lake on a beautiful sunny day with Okanagan Parasail. Go up with the clouds to experience a view of Kelowna unlike any other with Okanagan Ballooning. Calm your senses with a soothing walk through the Okanagan Lavender Herb Farm. Get to the heart of what makes the Okanagan unique with a visit to the Okanagan Heritage Museum. Find what you’re after at Orchard Park Shopping Centre, which hosts over 170 stores and is the largest shopping mall in the Okanagan. 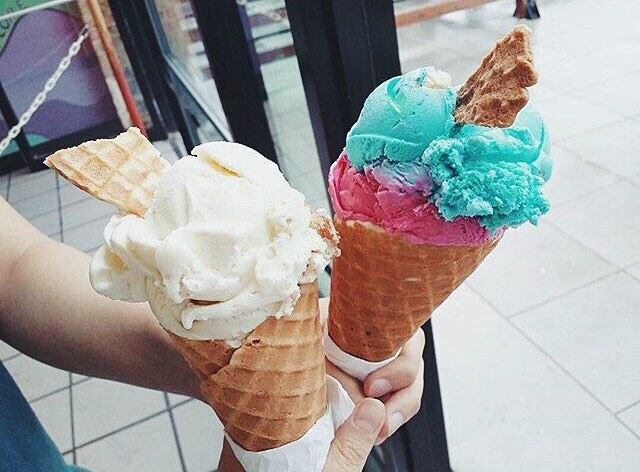 Stroll down Bernard Street with an ice cream cone in hand from Moo-Lix Ice Cream. Browse, sample and take home unique refreshments from Okanagan Spirits, Western Canada’s oldest craft distillery. Dance the night away at Sapphire Nightclub. Wander the aisles of fantastic finds Pandosy Books, a used bookstore located off of Springfield Rd. Sharpen your game at the tennis courts at City Park and Kinsmen Park. Get in on the indoor cycling ride of your life at Spinco on Bernard. Disc golf at the bottom of Knox Mountain! Test your muscle strength and endurance at Global Fitness & Racquet Centre. Pack a lunch and work on that tan at Gyro Park! 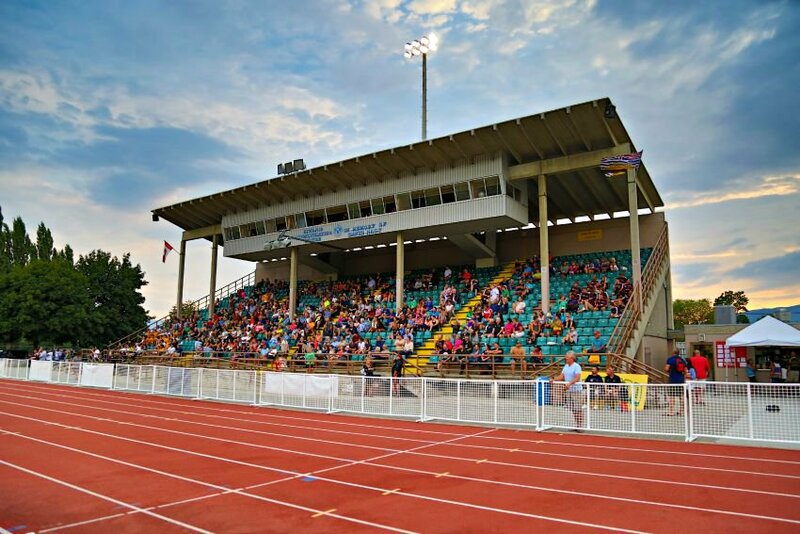 Test your lap time at the Apple Bowl track. Get the good stuff with a 2-piece halibut fish and chip plate at The Table Cafe at Codfather’s Market. Is it Wednesday yet? When it is, go for wings at Mission Tap House. Tour Arlo’s Honey Farm and take home some sweet, local products made by their Okanagan bees. Ride in style and discover Kelowna’s growing craft-brewery scene on a group bicycle with Smile Cycle Tours! Relive the best of classic arcade games, go-carts and mini golf at Scandia Golf and Games. Netflix doesn’t have everything! Rent a movie from Leo’s on Pandosy and learn something new about film from one of their friendly, super-smart staff members. Experience a sensory-less adventure unlike any other at Float Space. Check out a true Kelowna classic – blues music performed by local legends on Saturday night at Blue Gator Bar & Grill. Take in a drive-in movie at Starlight Drive In, just an hour drive outside Kelowna. Get your zen on at Kasugai Gardens. Challenge your friends to a board game and a beer at Muninn’s Post, Kelowna’s own Viking pub. Laugh the night away at Dakoda’s Sports Lounge & Grill, with open mic night on Thursdays and pro comedy evenings through the weekends. Pick up all the fixings for a picnic at Sarsons Beach with a quick stop at Valoroso Foods for Italian meats, cheeses and desserts. 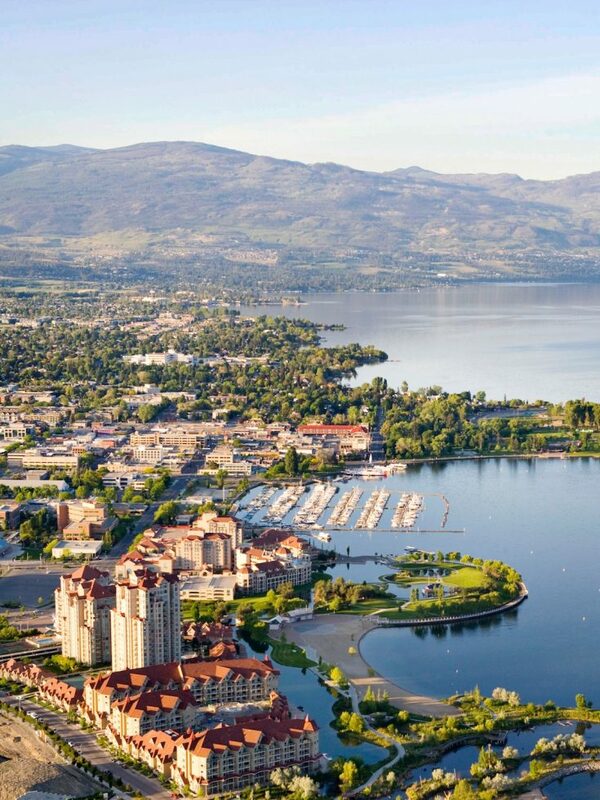 Try your luck at Playtime Casino at the Grand Okanagan. Make like you’re in Italy with a long and winding drive to Bertram Creek Regional Park. Book a wine tour tasting to experience the finest large and small wineries in Kelowna with Roots & Vines Tour Company. 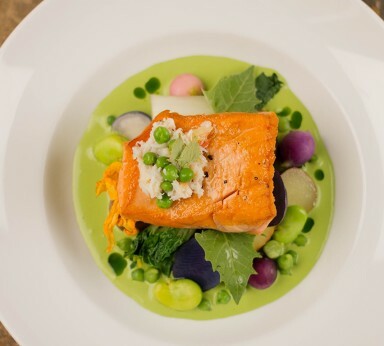 Taste some of the finest Pacific Northwest cuisine at Raudz Regional Table, which emphasizes locally sourced and organic ingredients in its dishes and drinks. Tone up from the toes up at Barre Room. 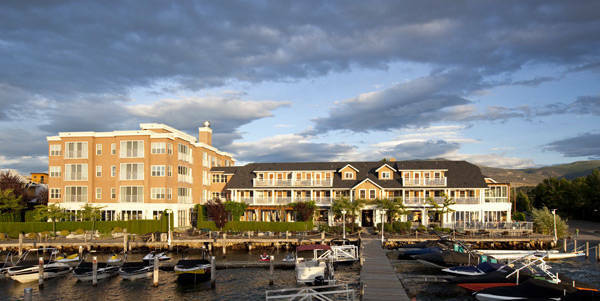 Pick up a scone and a coffee at Bliss Bakery in Peachland before heading out onto the boardwalk for a lakeside stroll. Dare yourself to try only one chocolate at Annegrete’s Chocolates (you will fail), or cozy up to a hot chocolate – the real deal! Turn up for Hip Hop Brunch at Krafty Kitchen + Bar on the weekend. Find something unique for the home at Lakehouse Home Store. Climb, hike and explore the southernmost point of Myra-Bellevue Provincial Park, revered for its bouldering potential! For the best gluten free options in breakfast and lunch, check out Sturgeon Hall and Marmalade Cat Cafe. Update your hairstyle with the help of one of the fabulous hairdressers at Mint Salon. Make your home a bit brighter with a fresh bouquet from Landmark Flowers, an eco-friendly flower shop. Sample some of the best vegetarian Thai food at Lake Tai Restaurant. Explore some of the delicious fare in wine and food West Kelowna has to offer on its Westside Wine Trail. Drive, bike or walk down Abbot Street in downtown Kelowna for a look at some of the most beautiful heritage homes in the valley. Get the look of a suntanned bod (you’ll want it for the beach!) without the harmful effects of UV rays with a spray tan session at Organic Tan. Treat yourself to an Aeropress coffee at Canoe Coffee, one of the latest independent coffee shops to burst on to the Kelowna coffee scene. Get breakfast at Okanagan Street Food next Saturday, and then head over to the Urban Harvest warehouse sale for the freshest picks of local, organic produce and groceries. Rent a kayak from Okanagan Beach Rentals and head out for an early morning paddle on Okanagan Lake. Drive north to Atlantis Waterslides in Vernon for some slipping, sliding summer fun. Grab a skateboard and head to Ben Lee Park in Rutland, the largest skatepark in the Okanagan. Ben Lee is also home to a waterpark, playground, hiking trails and more. Contribute to a great cause with a donation and tour of the Parrot Island Sanctuary in Peachland. Tour O’Keefe Ranch, a BC Heritage Site in Vernon, where you’ll experience a taste of life in the Okanagan from the Victorian perspective. Enjoy one of Kelowna’s renowned golf courses, such as Harvest Golf Club, Gallagher’s Canyon Golf: Pinnacle Course and Michaelbrook Golf Club. Get a beer and go bowling at BNA Brewery Co. & Eatery, Kelowna’s premier craft brewery. Tour some of Kelowna’s finest wineries in style with a luxuriously chauffeured vintage car ride with Tours 59. Drive your boat to dinner by parking it at the Downtown Marina and walking a few steps to Fernando’s for some tacos and super-delicious avocado margaritas. Book your next tattoo appointment at Bertram and Co. Tattoo and Piercing. Browse old books while drinking a latte or milkshake and enjoy the vintage charm of Pulp Fiction Coffee House. Try on beautiful glasses and schedule an eye exam at Inspired Eyes Creative Eyewear. Never be without something to do on a rainy day with Planet Lazer Kelowna (still fun on sunny days, too). Nothing pairs better than frozen yogurt and a car wash, and you can get both at Sonic Wash Express in West Kelowna. Visit Trout Waters Fly & Tackle for expert fishing advice and a fantastic selection of fishing gear and supplies. Bring home your own hand-picked strawberries and cherries from some of Kelowna’s U-Pick orchards. A stroll downtown on a weekend evening in the summer isn’t complete without stopping by to check out the local music and dancing performances organized by Festivals Kelowna (Parks Alive). Dream a little dream with a browse of the fine jewelry at the CJEX. Find designers you will adore, like Tacori and Noam Carver, and get expert advice from they’re extremely knowledgeable and friendly staff. Whether it’s summer or winter, Freeride Boardshop in West Kelowna and downtown Penticton has you covered for apparel and gear for your seasonal adventures on the lake and on the mountain. Check out one of the most epic wing night scenes in Kelowna at Tonic’s Pub. Walk a quiet path at Eagle View and Quail Flume trails, located just west of the Quail Ridge neighbourhood. Stop in for a fresh baguette at Okanagan Grocery on Gordon Drive. The shop features gourmet cheeses, jellies, soups and stocks to pair with their renowned baked goods. Don’t miss out on local apples, peaches and cherries from one of the many roadside fruit farms in Kelowna. Satisfy your sushi craving with a visit to the local favourite for Japanese food, Bluetail. See Kelowna through a new lense with a DSLR (bring your own camera!) workshop with Learn Photography Kelowna, which tours galleries and outdoor scenes as part of its learning experience. Relax and explore local art and unique gifts at New Moon Gallery in West Kelowna. 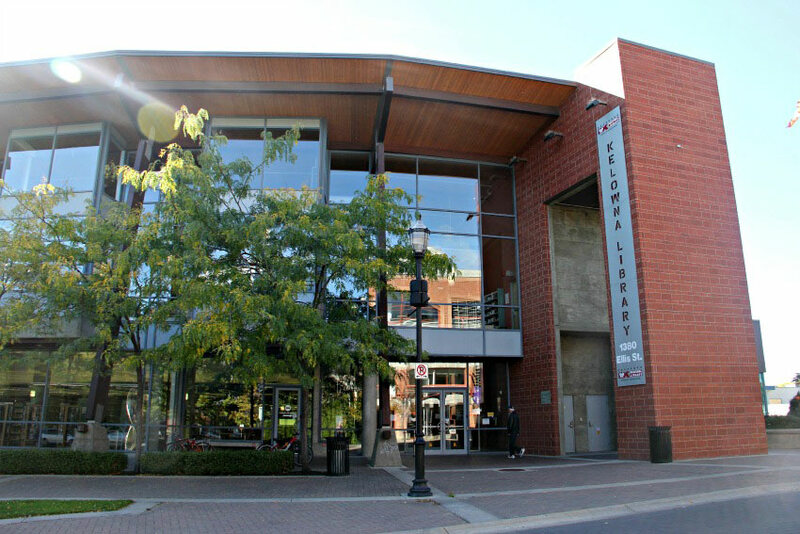 Take home a stack of books, DVD’s and magazines at the Kelowna Regional Library on Ellis Street. Visit Indigenous World Winery in West Kelowna and experience one of two Indigenous-owned wineries in British Columbia. Take your dog to Cedar Creek Park, Kelowna’s dog-friendly beach. Let a wine tasting at Gray Monk turn into a full-on mid-afternoon charcuterie and wine date on its adjoining patio at Grapevine Restaurant. Book an appointment for your bridal or prom dress needs at Bliss Bridal at its new location in the heart of Pandosy Village on KLO Road. See how many you can eat at Cecil’s Perogies on Richter Street. Get inspired to create art with a visit to Opus Art Supplies on Ellis Street. Pick up a couple of delicious, local loose leaf teas (and a cup to go!) at Chaibaba. Fill your growler with locally brewed beer at Tree Brewing Co.
Go for a stroll through one of West Kelowna’s most beautiful heritage farm regional parks, Gellatly Nut Farm. Take a bike ride or walk across the Bennett Bridge and circle back into City Park through the underpass and onto the boardwalk by the lake. Satisfy your burrito craving at Latin Fiesta – Dos Chiles Restaurant in Rutland. Hunt for something original at the Rutland Community Market, which runs every Sunday between 8AM – 1PM at Roxby Park. Enjoy a bit of natural serenity at the Guisachan Heritage Park on Cameron Road. Drive to Apex Mountain Resort for a scenic summertime look at one of the most epic downhill mountains in the Okanagan. Stop at Burger 55 in Penticton on your way there for a laid back lunch experience unlike any other. Dogs enjoy a trip to the beach, too. Take your pup to the Gellatly Dog Beach in West Kelowna. Get even more information about the epic adventures and experiences that await you with a visit to the Tourism Kelowna office! Designate a drive and cruise up to East Kelowna for a delicious tour of the FabFive wineries, which includes House of Rose, Camelot Vineyards Estate, The Vibrant Vine, Spierhead Winery and The View. Stock your kitchen with quality cookware and supplies from The Chef’s Edge in Glenmore. Try not to eat everything in sight at the renowned Hotel Eldorado Sunday brunch. Surprise a loved one with a mini road trip out to Oliver for a night at the guest house at Burrowing Owl Winery. Pitch a tent at Bear Creek Provincial Park for a weekend of swimming, hot-dog roasting and sitting around a fire. Get down to the beach with a hike in Kalamoir Park in West Kelowna. Plot out the garden of your dreams at The Greenery. Satisfy your ramen cravings at Wasabi Ramen. Authentic, made in-house Japanese Ramen. Get Calm. Fit. And Inspired at Modo Yoga, beginners and experienced yogis welcome. Go for a burger and a curl at the Kelowna Curling Club, every Sunday for $19.00 per person, which includes two hours of ice time and rental gear. Satisfy your craving for Thai food at one of the two Zabb Thai Restaurants in Kelowna. Put your leg muscles to the test at the Boucherie Grind (the West Kelowna version of the infamous Grouse Grind in Vancouver). If you’re into dirt biking, you’ve got to check out the Kelowna Dirtbike Club track on Bear Lake Main Road. Strike up a conversation with a local to learn something new about this unforgettable place we call home! Did we miss a spot? Let me know in the comments! You missed Go With the Wind Cruises. Sailing cruises since 1998 and rated at the top on Trip Advisor. Scenic, entertaining, informative and personal cruises by sail or power. Guests receive a 300 page ebook and a souvenir postcard of their choice along with complimentary soft drinks, water and snacks and photos of themselves taken while cruising. Run away and join the circus! 😉 Check out Studio X Fitness for aerial silks, aerial hoops, pole dancing, and many more fitness options! Has a new coffee ice cream bar thats supberb.